Leggings New “Strength” Booty Capri’s By Debi Purcell In Black Fighter Girls brings you the newest addition to its line of training clothes. This capri has been in development for a full year, searching to find the right cut, and fabric for a strong, yet flattering fit. Made of a the best Lycra/spandex blend this capri will make you look amazing while also actively pulling moisture away from your skin to help keep you cool and dry. Supplex is a top of the line fabric that will not shrink, stretch out, or lose its shape. The unique attributes of this fabric make it thick enough to help keep your lumps and bumps in order while keeping any jiggle to a minimum. The fold over waistband allows for an adjustable fit so you can make it go as low or high as you like, without worrying about it cutting into you. Down the leg is the always cute Fighter Girls script in cream color. 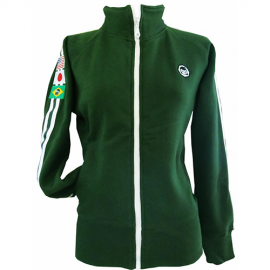 This capri will easily fit into your wardrobe. It is good not only for training, but running, yoga, and pilates as well. The inside of the capri has a printed size and care label to ensure a “non-itch” fit. love the color. the fit was perfect and comfortable. i was hesatent about the price but well worth it. seems to be high qulity made. 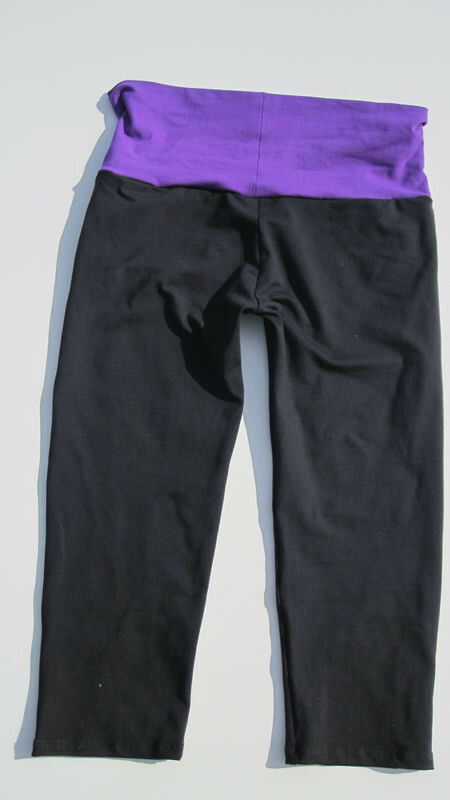 These capri leggings are made with the worlds best material the kind that does not ball or fade during washings! Made for women and girls that want the best leggings to workout in or train! 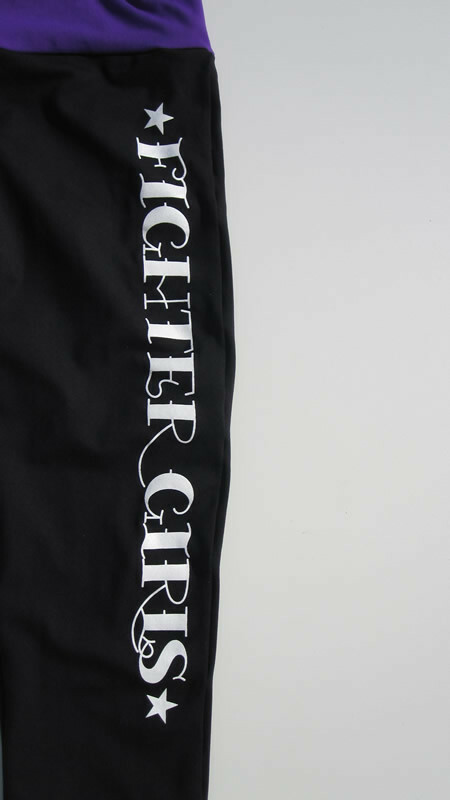 These black leggings have a really cute and bright purple waistband so trust me when you want to look great the Fighter girls brand will help out in many ways! The fabric is thick so you will not have to worry about being transparent while bending over! Made here in the USA for quality and a fit that no other legging will offer! So ladies look great in the best capri leggings the world have to offer! 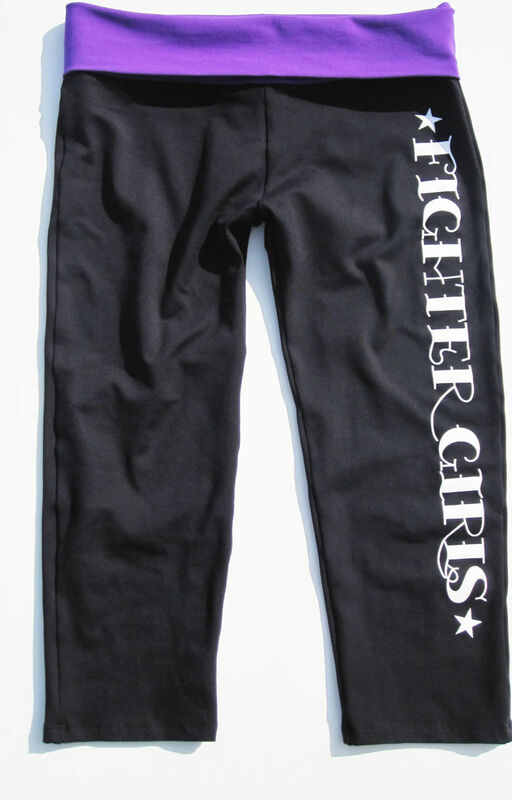 Come read the reviews what our customers have to say about the Fighter girls capri leggings! You will be impressed! Made for women and girls who want the best! Maybe you are looking for a legging for yoga or Pilates and want the best come by and check out these you will love the quality and fit!